In a recent conversation, a small group of us were talking about caring for elderly parents. We discussed the tension that exists between supporting parental independence and increasing health challenges. One friend said, “I just remind myself to stay on my yoga mat.” I laughed and then realized the brilliance of the statement. In meditation and yoga, it’s easy to have your mind wander as you settle into a class. One yoga instructor likened it to being a puppy…jumping from one place to the other. Or better said, “having a hard time staying on your yoga mat!” In addition, a goal of a yoga class is to focus on what you can do on your mat and not worry about what others are doing. In our conversation about aging parents we agreed, that it’s easy to jump in and rescue, sometimes when it’s not even needed or wanted. Yep, jump right off that yoga mat. Where else do we jump off our yoga mat? Think about a manager that too quickly jumps in and tells others what to do or how to do solve a challenge instead of letting an employee resolve the challenge on his/her own. There may be times when managers need to be highly directive. Yet, are there times when managers could stay more on their yoga mats? Would it result in more empowered employees and improved workflow? Or consider parents who want so badly for their child to be successful that they do not allow the child to fail. Are there times when parents could stay on their yoga mats more? What causes you to jump off your yoga mat? Where might you want to try to stay more on your yoga mat? 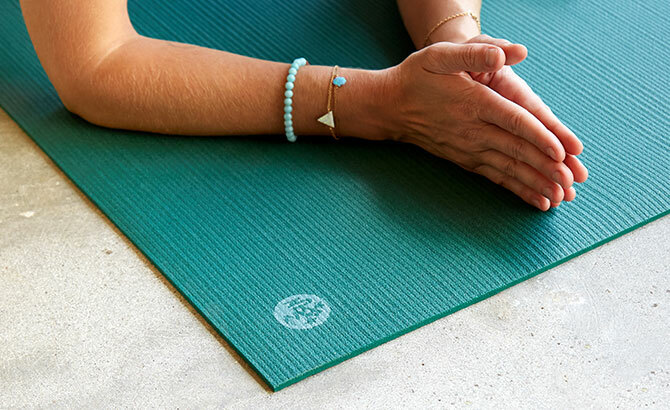 How could staying focused on your yoga mat empower others?